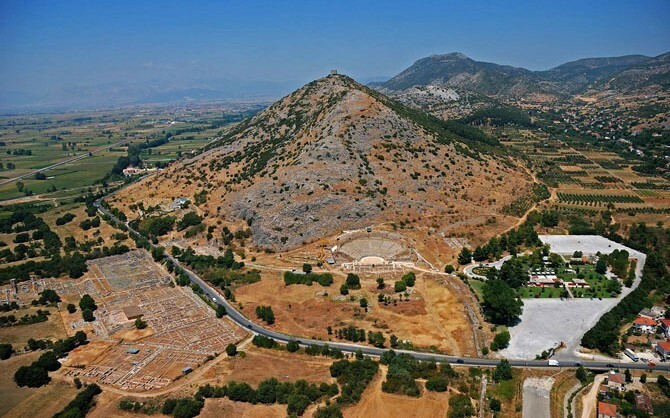 A visit by Culture Minister Lydia Koniordou and the unveiling of a plaque that informs visitors of Philippi’s new status as a UNESCO World Heritage site concluded two days of celebrations to mark the archaeological site’s formal addition to the list of UNESCO monuments on Sunday. In her speech, Koniordou emphasised her satisfaction at this important event for Greece and pledged to make every possible effort to highlight and promote the country’s cultural treasures. The philharmonic orchestras of the Kavala Municipality and Philippi Municipal Unit played Beethoven’s ‘Ode to Joy’ from the 9th Symphony and Manos Hadjidakis’ “Street of Dreams”.